From the Customers Menu, click Add New Customer. 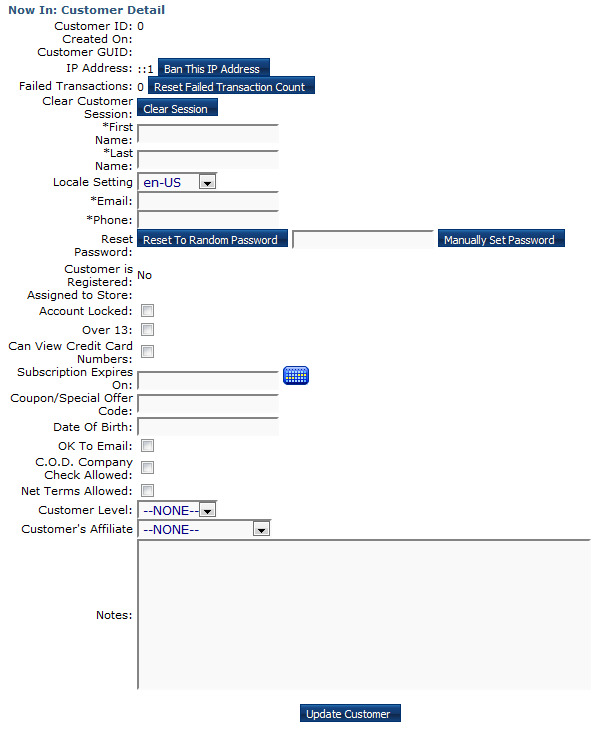 1 - Fill in the fields pictured below (required fields are marked with *) and click 'Update Customer'. 2 - A success message will appear. The customer has been created and you may now add addresses (see below), edit the customer record further, or return to other admin tasks. 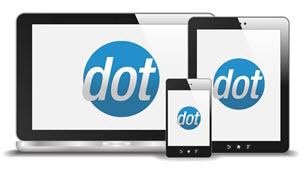 3 - Once the basic customer account has been created, you can click the 'View/Edit Addresses' button at the bottom of the page to add an address. 4 - The address window will be blank at first. 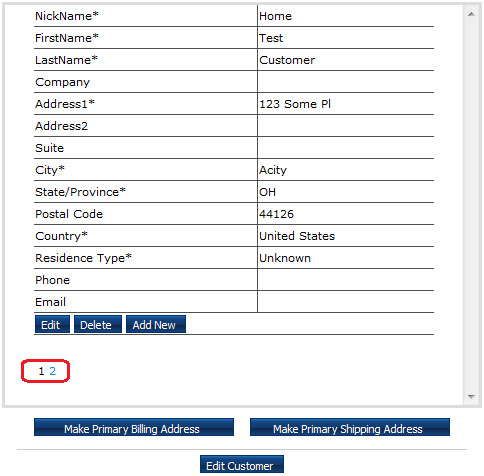 Once you fill in the details and click Add, you'll be able to enter more addresses, and switch between them. 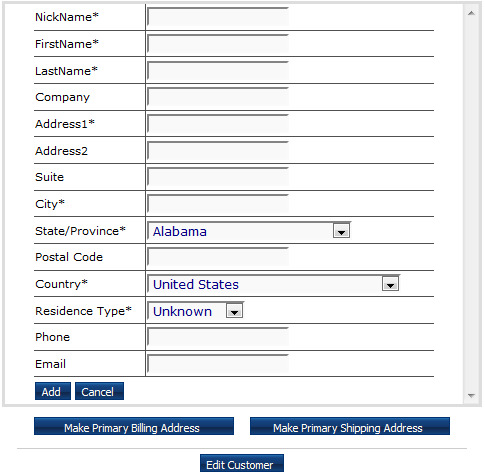 You can also set which of the addresses is the primary billing and/or shipping address.